The greatest strength of the Anderson Process brand is our commitment to offering close, personal service — driven by our staff of industry experts — to provide profitable solutions to our customers’ most pressing process challenges. The Anderson team is determined to earn the trust of its customers by providing cost-effective solutions. We provide added value to processes which results in greater profitability for our customers. 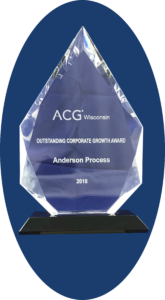 Since our inception in 1958, Anderson Process has committed ourselves to being a growth organization. Over the years, we have kept focus on this commitment, not only for ourselves and our employees, but for our customers and vendors. Anderson Process offers our customers unparalleled technical and customer service expertise. Our entire staff has a customer-driven, integrated solutions approach; within which lies our goal of putting our expertise to work for every customer. Our world is constantly changing. To be the best fluid processing equipment supplier, all of us at Anderson Process are committed to supporting a product and service offering that is dynamic in nature and updated to fit our target marketplaces’ needs. We have a long history; we will be there for our customers when needed. To streamline our customers’ order processing and technical support needs, everyone at Anderson Process is committed to working as a collaborative team. 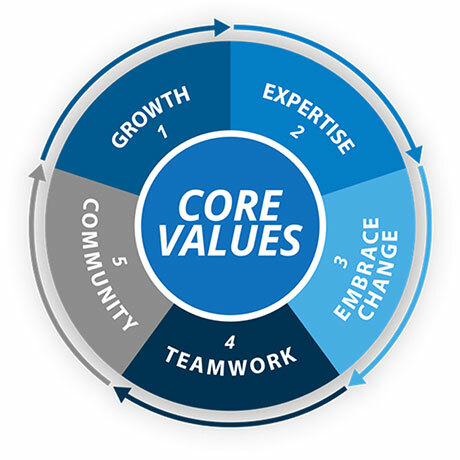 All of us recognize that each must do their part to offer streamlined and value-added solutions to our customers. Our desired results is that we make our customers happy enough to want to order from us again and again. Our company wants to make a measurable difference not only in our internal culture, but to the outside community around us. Anderson Process is committed to a diversified internal work culture and also committed to serving and enhancing our external community through planned, corporately sponsored activities and events.